In short, spine surgery is intended to restore form and function to the spinal column. Relieve pressure from nerves and spinal cord and when needed reconstruct the proper spinal curves. Spine surgery can be divided into two general areas. 1. Decompression and 2. Deformity correction. In most cases of spine surgery, both elements of spinal decompression and correction of deformities are involved. For example, in one end of the spectrum, is the lumbar discectomy for decompression. In the other end of the spectrum are the scoliosis cases, such as juvenile scoliosis, which in most instances, does not involve decompression surgery. Spine surgery involves dedication and precision work, with planning and thinking ahead, to avoid complications. Many aspects of spine surgery and successful delivery of care involve correct diagnosis and the appropriate choice of treatment and surgical approach. Modern day spine surgery capitalizes on the advancements in the field of medical imaging (Dynamic X-rays, CT scans, MRI, SPECT), intra-operative navigation, microsurgical techniques, advancements in the field of operative microscopes, pre-operative pharmacology (use of neuroprotectants and pain modulators), and use of intra-operative long-acting analgesics for post-operative pain control. A significant number of advancements in the recent decade have transformed spine surgery. Many of complicated decompression and deformity surgeries, oncological surgery and degenerative conditions are addressed through small incisions, with minimal damage to bystander tissues. This translates into faster recovery, less chance of infection and higher functional performance after surgery. Many aspects of the modern approach to spine surgery involve complication avoidance, miniaturizing surgical approaches, and use of neuroprotective agents for prevention and pain modulation, to reduce nerve injury and post-operative pain. The recent advancements can be summarized in to improved imaging of the spine, robust microsurgical tools to carry out minimally invasive surgery, improved microscope optics, intra-operative navigation, flowable hemostatic agents, neuro-pharmacology for neuroprotection and post-operative pain modulation, intra-operative long-lasting analgesic agents for long-acting post-operative pain reduction, post-operative rehabilitation and physical therapy, and multi-disciplinary care to ensure quick recovery and functional improvement.  At Mobin Neurosurgery, with 20 years of experience in the field of Neurosurgery, all aspects of modern spine surgery are available and considered in planning and delivery of care to our spine patients. From the onset, we value our patient’s concerns and strive to learn how their lives are affected by their spine condition. The approach to care revolves around formulating individualized treatment plans best suited for the individual patient. For those in need of surgical correction, options are explained in easy-to-understand language, with help of visual aids. Our patients are our partners in their care. After a decision to proceed with surgery is made, the planning and execution of the surgery incorporates principles and techniques of minimally-invasive surgery. The philosophy of less damage to bystander tissue and choice of least invasive surgical corridors to best address the problem are emphasized. Listen to your doctor! 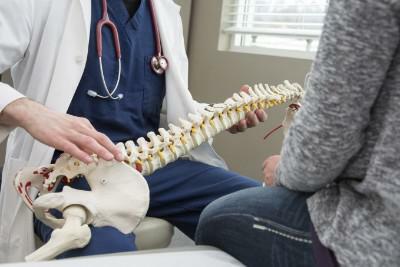 The recovery phase of spine surgery has its own particular needs. The preoperative planning involves education and proper instructions for an easy road to recovery. Care of the incision, proper icing, limiting strenuous movements, and use of brace, depending on the type of procedure, are some of the post-operative care instructions. Most procedure require you to stop use of NSAIDs and blood thinners until cleared by your doctor. Are there supplements that can help with your spine health? Generally speaking, one multivitamin a day will provide you with the required vitamins and coenzymes needed to keep you healthy. If you have a diet rich in leafy green, fresh fruits and vegetables, you may already satisfy your bodies requirement for essential vitamins and minerals. An important requirement for bone health revolves around sufficient intake of dietary calcium. Obtaining the needed calcium from diet is a more natural and efficient way as oppose to calcium pills which are in general difficulty to absorb through your GI tract. We are proud in our ability to help our patient. We standby our patients to see them through the process of healing. A wide spectrum of spinal conditions, from traumatic injuries, spinal tumors to degenerative conditions are evaluated and treated in our clinic. The well-being and ultimate meaningful recovery of our patient are the focus of our clinic. We celebrate our success in practice by seeing the smiles and praises of our patients, some of whom have suffered from back pain or neck pain for years before coming to us. With all the new advances in spine surgery, from image-guided surgery to pre-operative 3D planning for surgical approaches, we never lose sight of the human factor and value our patient-physician relationship above all.